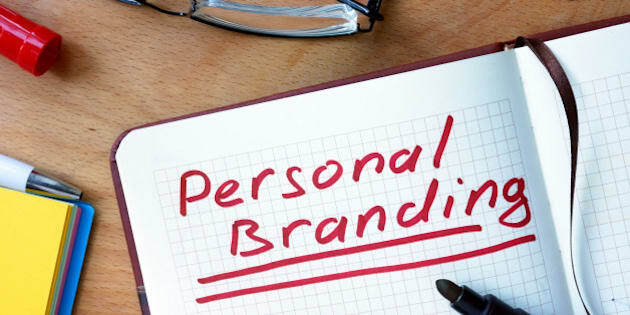 In business you hear the term “personal brand” thrown around a lot. It’s a process by which you define how the world sees you. It’s seemingly a straightforward task but often the most important thing a new business owner will do. In business you hear the term “personal brand” thrown around a lot. It’s a process by which you define how the world sees you. It’s seemingly a straightforward task but often the most important thing a new business owner will do. But other than choosing your corporate name and registering a Canadian domain name, what other steps can you take to stand out from the crowd and show the world who you are? This is easier said than done. Many names have already been taken and so finding one that accurately reflects what you do and is memorable will take time. But here’s a tip for Canadian business owners: while many .com names may be claimed, their .CA counterpart could be available as the Canadian world wide web is not as cluttered. Many entrepreneurs name their business based on the availability of the domain name. See if your .CA domain is available. It’s not enough to be knowledgeable in your field -- others need to know it too. Once you pick a name and register your domain, you need to expand your presence on social media. Make sure your accounts are routinely updated and closely monitored. Also be aware of the look and feel of those pages too -- they ought to be engaging and reflective of your brand. Don’t forget to link back to your website by including your business’s domain name in your profiles. If you want people to get to know who you are and what you do, you need to publish articles, network, attend conferences and commit to speaking engagements. All these actions cement your professional credibility and ensure that you become a reference in your field. Never miss an opportunity to share your professional expertise and learn from peers. When given the opportunity to work with and associate with those who have strong and established personal brands, do so. It’s an ideal way to not only learn from them, but make your brand stronger in the process. Look around you and see how those connections can be made. They can be people in the same field, complementary fields, former colleagues, and even fellow alumni members who have gone on to do great things in other areas. This may sound like a non-tip but it’s actually the most import. The best lesson in personal branding is being true to yourself. People want to engage with products or websites that are unique and the best way to accomplish that is to find the thing that sets you -- your ideas and personality -- apart. Naturally that authenticity will bleed into your work. In addition to registering a domain name for your business, be sure to register a personal domain name (i.e. johnsmith.ca). It will help you get found in a Google search and it’s a great way for you to build and your personal brand online. Millions of people and businesses trust .CA to brand themselves as Canadian online. Whether you're a small business owner, an aspiring entrepreneur, a storyteller, or just a person with a great idea, a .CA domain name will show that you’re 100 per cent Canadian. Choose your .CA domain name today.